Social media makes it so easy to get yourself in trouble. It's one thing when you lean over and whisper something stupid into someone's ear. It's quite another when that "ear" turns out to be 15 million followers and the public at large. Eh, it makes for some great entertainment. 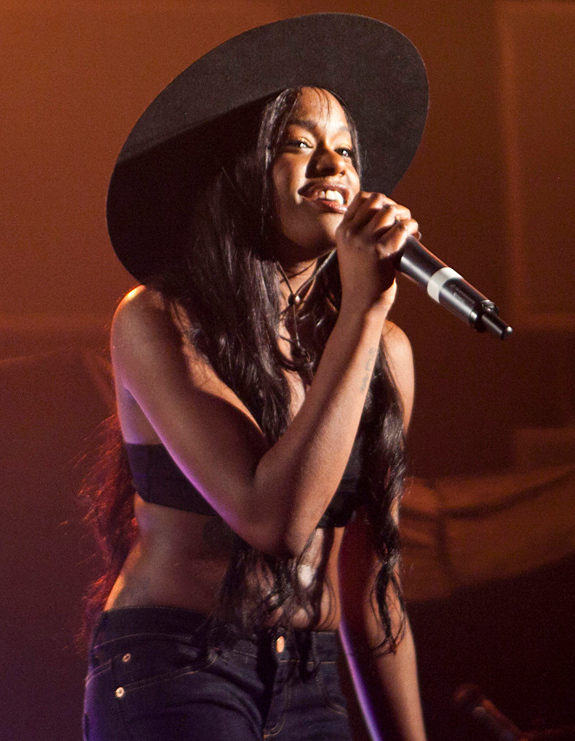 Azealia Banks not only found herself in hot water yesterday, she used it to fill a hot tub and bathe in it. She not only created some controversy in the LGBT community, she appeared to revel in it. However, she did delete the tweet that started it all. I don't really know what she means by that... Is she trying to say that gay white people are lynching straight people for not being gay? Are they riding pink unicorns while doing so? Despite what Kim Davis might think, the LGBT community hasn't been taking rights away from anyone. As someone who is a self-proclaimed "part" of that community, she has no issues slamming it. I don't know what her sexual orientation is, because I've never had that conversation with her... yet. However, her Wikipedia page claims that she has identified as bisexual. So, she wants the LGBT community to be stronger? In what way do they need to be stronger exactly? Although, she does have a point about choosing to be upset. I think there are a lot of times that people get upset or offended by things when it's not necessary. However, I can't say that I blame anyone for being upset about comments like she made when only recently has equality started to be realized for millions of gay couples who want to get married. Was she just trying to be funny, or was she trying to communicate some larger message? She's not backing down from any of it. She never claimed that it was intended to be a joke. If it was an attempt to be funny, then I would definitely feel like she should be given a break... but she's not a comedian, and it's not humorous. Maybe if she had made reference to riding on the unicorns' heads and shooting rainbows at conservative straight bigots. Are you as confused as I am on what the whole point of this was? Backlash from her using the "F" word on a plane? Then she got into some heated words with some dude on Instagram as well. So I guess if you want to get into a fight with her about whatever the hell is going on in her head, it looks like she welcomes it with open arms and closed fists...or something like that.